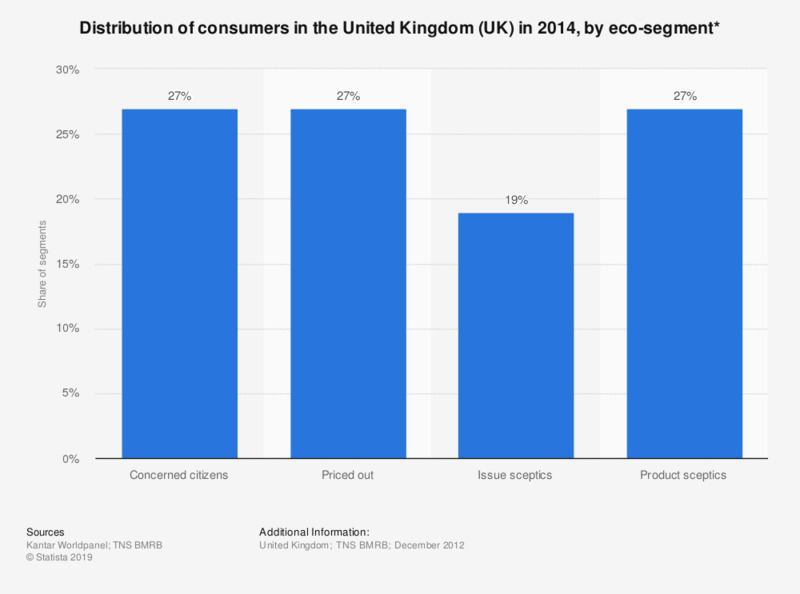 This statistic shows a distribution of consumers according to their attitudes to environmentally friendly products in the United Kingdom (UK) in 2014. Using survey data, TNS applied a segmentation analysis identifying consumers into four groups in terms of their attitudes to green issues and environmentally friendly products. The results showed that 27 percent of UK consumers are 'concerned citizens', that is, they are willing to pay for environmentally friendly products but not 100 percent convinced by how effective they are. The smallest of the four segments were the issue sceptics, with 19 percent believing the dangers to the environment are overstated. Total sample of 27 EU countries = 25,268 respondents. Number of UK respondents not given. Statistics on "Sustainable food industry"
Which of the following product features are of particular importance to you when buying food? How important is it to you that the food products you purchase or consume are produced in a sustainable way? Based on which criteria do you usually select your hot chocolate? Based on which criteria do you usually select your tea? What attributes do you consider the most important when selecting healthy meals?